Majority Leader Mitch McConnell and his deeply divided Senate Republicans on Thursday unveiled their last, best chance for a Republican-only authored bill to repeal and replace the Affordable Care Act. According to the discussion draft, the legislation would keep in place the taxes on the wealthy that were instituted under Obamacare, and would allocate an extra $70 billion to states with the goal of driving down premiums. The bill would also provide $45 billion for opioid treatment and recovery, in addition to a provision championed by conservative Sens. Ted Cruz and Mike Lee that would allow insurers to sell plans that do not comply with ACA regulations as long as they also sell plans that are compliant with the rules. 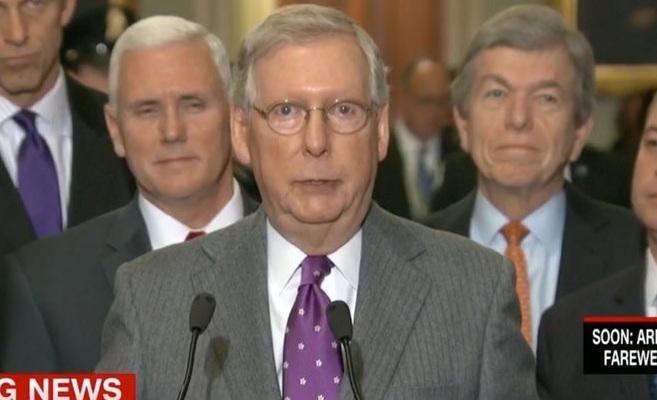 McConnell can only afford to lose two Republican votes on the proposal. Read more at THE DAILY BEAST.